Sandra Amuche Alexandra Asogwa popularly known as Unusual Alex is a dancer and model who was former Miss Eastern Nigeria.she was recently signed by a talent agency, Naomad Talent Management. According to NAN the signing gives Alex, who is a dancer, model and writer, the needed structure to harness her full potential. 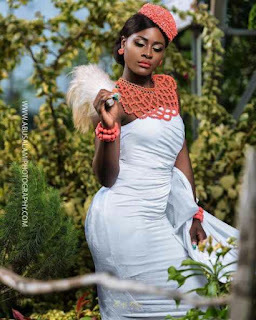 “It is with great pleasure that we welcome “The Beautiful Unusual One” @alex_unusual to the Naomad Family. “We are taken by her depth and authenticity. “Alex is a diamond in the rough – Meaning she has exceptional hidden characteristics. And just like a beautiful jewel diamond, her inner beauty is surely starting to shine and will shine more after the cutting and polishing process.